Microsoft's official support for Windows XP ended on April 8, 2014. Microsoft will be no longer releasing security updates or any sort of patches for Windows XP and no more official, direct support will be provided to its users. Windows XP always has a lot more amount users than Windows 8. Data from analytics firm Net Applications shows that almost one third of the users run XP on their PCs, roughly 3 times more than Windows 8 users. There are several reasons which justify those numbers. The Windows user interface is quite different from XP which forces the XP users for a change and people, obviously, do not like change. The hardware requirements to run Windows 8 are comaparatively much more than XP and most users would not spend dollars on the hardware just because they want to run windows 8. On the other hand, they need not buy a new computer or upgrade their existing hardware because their current configuration is fast enough for some of the distributions of Linux. So, if a user has a hardware that runs XP well and now there is need of a supported os that should work well on existing hardware, Linux would be a great choice. However, there are fears that hold the XP users back, like the unawareness about Linux and its available distributions,fear that their apps will stop working and change is the biggest of them all. Keeping these fears in mind and after collecting the reviews from users all over the internet, i have prepared a list of some Linux distros that can be helpful for those who are planning to switch from XP to Linux. Lubuntu is a flavor of Ubuntu based on the Lightweight X11 Desktop Environment (LXDE), as its default GUI. The goal is to provide a very lightweight distribution, with all the advantages of the Ubuntu world (repositories, support, etc.). Lubuntu is targeted at "normal" PC and laptop users running on low-spec hardware. Lubuntu offers a XP-like interface which is ideal for those who are averse to change but need to transition away from Windows.Here are more reasons why its the best Linux alternative for XP. Microsoft has been maintaining and supporting Windows XP for over 11 years now. Tentative plans were announced in April 2013 to make Lubuntu 14.04, the upcoming version, a long term support release.In November 2013 it was confirmed that 14.04 will be the first Lubuntu LTS release with five years of support. This is the biggest advantage of switching to a Linux distro. Linux is built in such a way that it is very hard for viruses to run and even if they do somehow, the damage caused is very limited. Linux os are highly secure and immune to viruses. They don't get virus affected until and unless you install suspicious softwares from suspicious places. You don't need to worried about the looks and feel of Lubuntu. 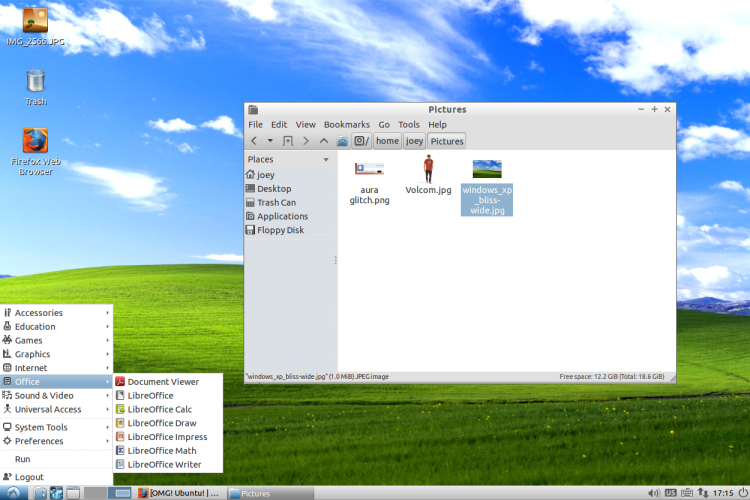 Lubuntu has a layout similar to Windows XP. Let me show you the bottom panel on the desktop. The bottom panel has a Start Menu which display the links to your apps; next to it is the quick launch area where you put the mostly used applications; next is the list of applications that are currently open and lastly is the system tray and the clock. Also, there is multichat messenger Pidgin, that can connect to Yahoo!, google, Facebook, MSN and lot other services; skype is there for the video calls; office applications similiar to MS Office are present for all sort of Office related activities; document viewer is also present that acts as a PDF reader for Lubuntu. Lubuntu is easily available and the latest version Lubuntu 13.10 can be downloaded from here. There are various reasons which make Linux Mint successful.It works out of the box, with full multimedia support and is extremely easy to use.It's both free of cost and open source, which is of course an advantage in these times of economic crisis. Linux Mint doesn't generate any direct sort of income. It's funded only by advertising on its website and support forum, and by sponsoring and donations.It's community-driven. Users are encouraged to send feedback to the project so that their ideas can be used to improve Linux Mint. Based on Debian and Ubuntu, it provides about 30,000 packages and one of the best software managers.It's safe and reliable. Thanks to a conservative approach to software updates, a unique Update Manager and the robustness of its Linux architecture, Linux Mint requires very little maintenance (no regressions, no antivirus, no anti-spyware,etc). This particular Linux is extra light, so the system requirements of this modern operating system are modest. But in spite of being lightweight, it's complete, beautiful and well-polished. Linux Mint 13 "Maya" is the ideal replacement for the Windows XP on your computer. Because MS won't be supporting Windows XP anymore after April, 8 2014, leaving XP too vulnerable for the internet. If you want to continue using Windows XP after that date, then it's only safe to do so when you've disabled all network connections in XP. Linux Mint 13 "Maya" was released in 2012. It's an extra important edition, because it is a LTS version which means it'll receive security updates until April, 2017. The lifespan of LTS editions is longer than the normal editions. The newer Linux Mint 16 "Petra" on the other hand, is the latest version built on Ubuntu 13.10 and has a low life span as compared to Linux Mint 13 "Maya". That's why Mint 16 isn't interesting for XP users who are used to the long lasting support from Microsoft. The applications available are more or less same as that of Lubuntu mentioned above as this too is built on Ubuntu. You will be more in love with Mint once you know the minimum requirements to run the OS. Even your Mother-in-Law can handle it! 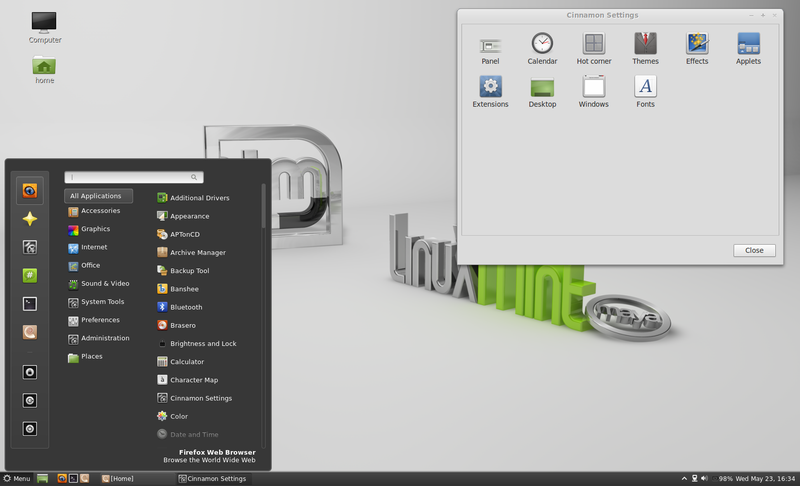 Download Linux Mint 13 "Maya" here. Zorin OS is a multi-functional operating system designed specifically for Windows users who want to have easy and smooth access to Linux. It is based on Ubuntu which is the most popular desktop Linux operating system in the world. Zorin OS is packed with all the software you'll ever need out of the box, from office suites to video editors. It also features unique Look Changer program that has been created exclusively for Zorin OS. The Look Changer lets you change your desktop to look and act like either Windows 7, XP, Vista, Ubuntu Unity, Mac OS X or GNOME 2 for ultimate ease of use. It also includes exclusive program called the Internet Browser Manager which makes it easy to install or uninstall alternate web browsers. Background Plus is another included application which allows you to set a video, audio file or screensaver as your background to enhance your desktop experience. Zorin OS gives users more flexibility. It allows you to use Zorin OS alongside your current operating system and run Microsoft Windows programs in Zorin OS with the help of WINE and PlayOnLinux. Thanks to Zorin OS's immunity to Windows viruses you will never have to worry about any of that nasty malware. And when a potential security threat arises, software updates usually come in a matter of hours. With Zorin OS you are sure to have peace of mind. Zorin OS is super fast. Zorin OS is faster than Windows 7 and OS X because it is more lightweight. Some Windows programs run even faster in Zorin OS with WINE (which comes pre-installed with Zorin OS) than in Windows. 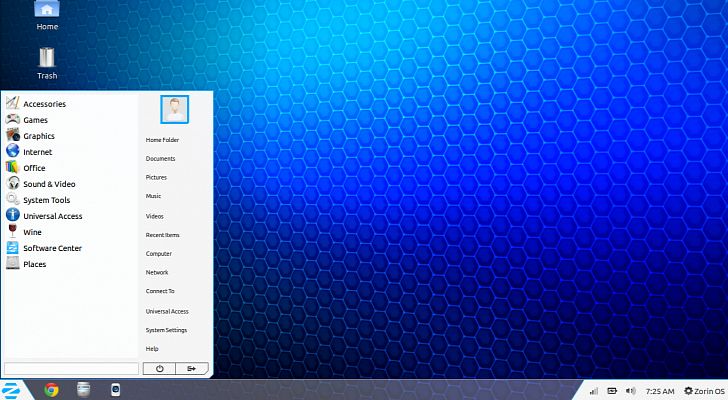 Zorin OS is a free open source distribution like most other out there. It doesn't cost you a single penny for the license or for the support which you can easily seek from its support forums. Zorin OS 8 is the latest version and you can download it here. Long Live Linux, RIP XP ! !